One does not stay long at the top. It is an inhospitable place and climbers quickly turn their thoughts towards going back to where they came from. 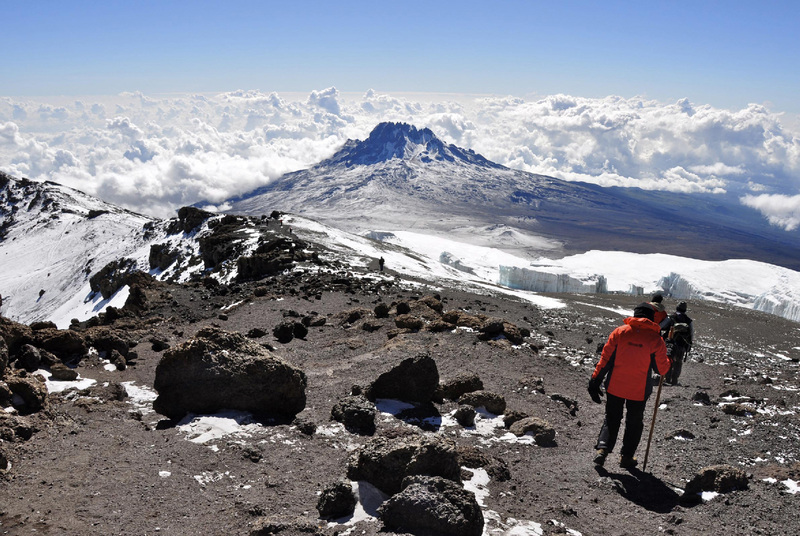 Before nightfall, climbers must reach Horombo Huts. For most climbers it will be the longest and hardest day of their lives, yet also the most fulfilling.